Alcohol problems vary in severity from mild to life threatening and affect the individual, the person's family, and society in numerous adverse ways. Despite all of the focus on drugs such as cocaine, alcohol remains the number one drug problem in the United States. According to community surveys, over 13% of adults in the United States will experience alcohol abuse or dependence (also referred to as alcoholism) at some point in their lives. Withdrawal, for those physically dependent on alcohol, is much more dangerous than withdrawal from heroin or other narcotic drugs. The cause of alcoholism is not well established. There is growing evidence for genetic and biologic predispositions for this disease, but this research is controversial. Studies examining adopted children have shown that children of alcoholic biological parents have an increased risk of becoming alcoholics. Relatively recent research has implicated a gene (D2 dopamine receptor gene) that, when inherited in a specific form, might increase a person's chance of developing alcoholism. Twice as many men are alcoholics. 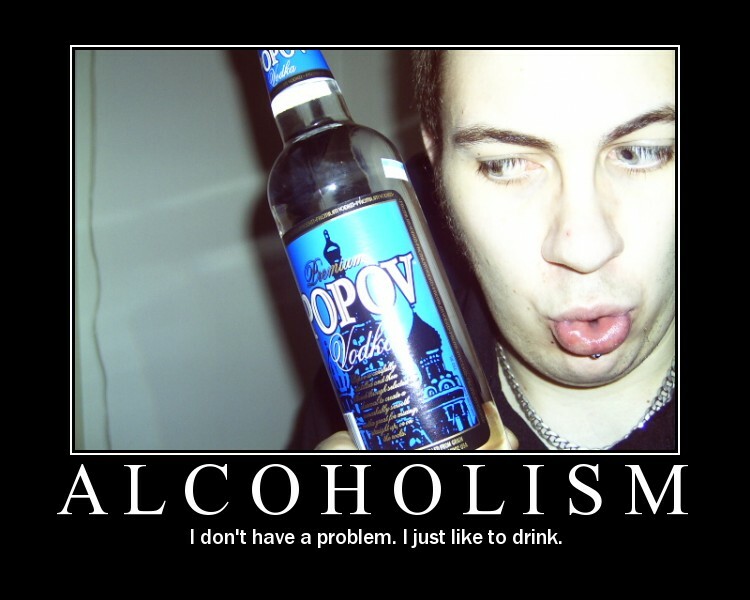 And 10-23% of alcohol-consuming individuals are considered alcoholics. Usually, a variety of factors contribute to the development of a problem with alcohol. Social factors such as the influence of family, peers, and society, and the availability of alcohol, and psychological factors such as elevated levels of stress, inadequate coping mechanisms, and reinforcement of alcohol use from other drinkers can contribute to alcoholism. Also, the factors contributing to initial alcohol use may vary from those maintaining it, once the disease develops. Alcoholism is a disease. It is often diagnosed more through behaviors and adverse effects on functioning than by specific medical symptoms. Only 2 of the diagnostic criteria are physiological (those are tolerance changes and withdrawal symptoms). Alcohol abuse and alcoholism are associated with a broad range of medical, psychiatric, social, legal, occupational, economic, and family problems. For example, parental alcoholism underlies many family problems such as divorce, spouse abuse, child abuse and neglect, welfare dependence, and criminal behaviors, according to government sources. The great majority of alcoholics go unrecognized by physicians and health care professionals. This is largely because of the alcoholic's ability to conceal the amount and frequency of drinking, denial of problems caused by or made worse by drinking, the gradual onset of the disease, and the body's ability to adapt to increasing alcohol amounts. Family members often deny or minimize alcohol problems and unwittingly contribute to the continuation of alcoholism by well-meaning behaviors such as shielding the alcoholic from adverse consequences of drinking or taking over family or economic responsibilities. Often the drinking behavior is concealed from loved ones and health care providers. 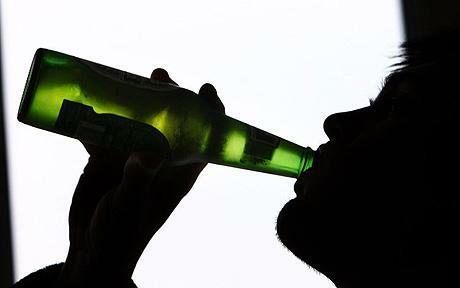 Alcoholics, when confronted, will often deny excess consumption of alcohol. Alcoholism is a diverse disease and is often influenced by the alcoholic's personality as well as by other factors. Therefore, signs and symptoms often vary from person to person. There are, however, certain behaviors and signs that indicate someone may have a problem with alcohol. These behaviors and signs include insomnia, frequent falls, bruises of different ages, blackouts, chronic depression, anxiety, irritability, tardiness or absence at work or school, loss of employment, divorce or separation, financial difficulties, frequent intoxicated appearance or behavior, weight loss, or frequent automobile collisions. Late signs and symptoms include medical conditions such as pancreatitis, gastritis, cirrhosis, neuropathy, anemia, cerebellar atrophy, alcoholic cardiomyopathy (heart disease), Wernicke's encephalopathy (abnormal brain functioning), Korsakoff's dementia, central pontine myelinolysis (brain degeneration), seizures, confusion, malnutrition, hallucinations, peptic ulcers, and gastrointestinal bleeding. Compared with children in families without alcoholism, children of alcoholics are at increased risk for alcohol abuse, drug abuse, conduct problems, anxiety disorders, and mood disorders. Alcoholic individuals have a higher risk of psychiatric disorders and suicide. They often experience guilt, shame, and depression, especially when their alcohol use leads to significant losses (for example, job, relationships, status, economic security, or physical health). Many medical problems are caused by or made worse by alcoholism as well as by the alcoholic's poor adherence to medical treatment. People who drink alcohol to the point that it interferes with their social life, professional life, or health should contact a doctor to discuss the problem. The great difficulty lies in the fact that denial plays a large part in alcoholism. 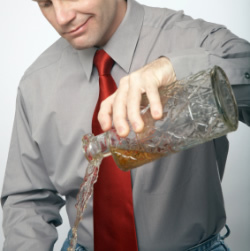 Consequently, alcoholics rarely seek professional help voluntarily. Often a family member or employer convinces or forces the alcoholic to seek medical treatment. Even if an alcoholic accepts treatment because of pressure from family, an employer, or a medical professional, he or she can benefit from it. 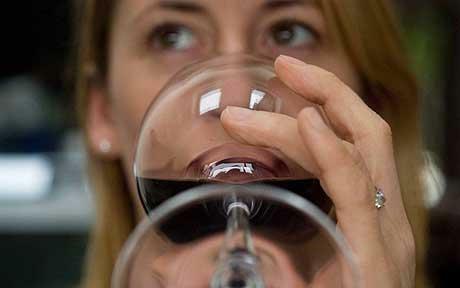 Treatment may help this person develop motivation to change the alcohol problem. Several alcohol-related conditions require immediate evaluation in a hospital's Emergency Department. Alcohol is involved in greater than 50% of motor vehicle deaths, 67% of drownings, 70-80% of fire-related deaths, and 67% of murders. It is imperative that emergency care be sought immediately when alcohol has contributed to an injury. This is very important because someone who is intoxicated may not be able to reliably assess the severity of the injury they have sustained or inflicted. An intoxicated person may, for example, not notice that they have a fractured neck vertebra (broken neck) until it is too late (that is, paralysis has occurred). During the tremulous stage, the person will exhibit a tremor of his or her hands and legs. This can be seen if the person extends his or her hand and tries to hold it still. This symptom is often accompanied by anxiety and restlessness. Seizures often follow the tremulous stage. They are commonly generalized seizures during which the entire body shakes uncontrollably and the person loses consciousness. Seizures occur in up to 25% of people withdrawing from alcohol. If you see someone having a seizure, attempt to lay the person on one side so they don't inhale any vomit or secretions into their lungs. If possible, protect the person's head or other body parts from knocking uncontrollably onto the floor or against other potentially harmful objects. Do not place anything inside the person's mouth while they are having a seizure. Hallucinations affect about 25% of people undergoing major alcohol withdrawal. Visual hallucinations are the most common type of hallucination experienced during alcohol withdrawal. People will classically "see" insects or worms crawling on walls or over their skin. Often this is associated with tactile (feeling) hallucinations in which alcoholics think they feel insects crawling on their skin. This phenomenon is called formication. Auditory (hearing) hallucinations can also occur during withdrawal, although less commonly than the other types of hallucinations. The most dangerous stage of alcohol withdrawal is called delirium tremens (DTs). About 5% of people withdrawing from alcohol experience DTs. This condition occurs about 48-72 hours after drinking stops. The hallmark of this stage is profound delirium (confusion). People are awake, but thoroughly confused. This is accompanied by agitation, delusions, sweating, hallucinations, rapid heart rate, and high blood pressure. This is a true emergency. Studies have shown that death will occur in about 35% of these people if they are not treated promptly. Even with appropriate medical treatment, this condition is associated with a high death rate. Alcoholic ketoacidosis (AKA) is another condition for which emergency medical treatment should be sought. AKA often starts within 2-4 days after an alcoholic has stopped consuming alcohol, fluids, and food, often because of gastritis or pancreatitis. Not uncommonly, AKA and alcohol withdrawal syndromes are seen at the same time. AKA is characterized by nausea, vomiting, abdominal pain, dehydration, and an acetone-like odor on the person's breath. This occurs when the alcoholic has become depleted of carbohydrate fuel stores and water. Therefore, the body begins to metabolize fat and protein into ketone bodies for energy. Ketone bodies are acids that accumulate in the blood changing its acidity and causing the person to feel even sicker, thus perpetuating a vicious cycle. Alcoholism is often associated with other psychiatric disorders such as anxiety, depression, and psychosis. This psychiatric illness, often combined with a reduced level of sound judgment while intoxicated, leads to suicides, suicide attempts, and suicidal gestures by alcoholics. Obviously, a person who has attempted suicide, or is believed to be in serious or imminent danger of committing suicide, should be taken quickly to the Emergency Department. Do you have a drinking problem? This online alcoholism test helps you become aware of your use or abuse of alcohol. The test focuses strictly on drinking alcohol and not on other drug use. The alcoholism test questions below are used by Johns Hopkins University Hospital, Baltimore, Md., in deciding whether or not a patient is an alcoholic. Instructions: Complete the 20-questions about your use of alcohol. Your score will be tallied and interpreted at the end. * 1 ) Do you lose time from work due to drinking? 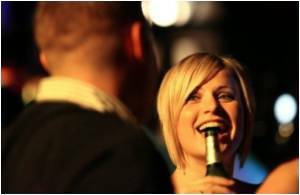 * 2 ) Is drinking making your home life unhappy? * 3 ) Do you drink because you are shy with other people? * 4 ) Is drinking affecting your reputation? * 5 ) Have you ever felt remorse after drinking? * 6 ) Have you gotten into financial difficulties as a result of drinking? * 7 ) Do you turn to lower companions and an inferior environment when drinking? * 8 ) Does your drinking make you careless of your family's welfare? * 9 ) Has your ambition decreased since drinking? * 10 ) Do you crave a drink at a definite time daily? * 11 ) Do you want a drink the next morning? * 12 ) Does drinking cause you to have difficulty in sleeping? * 13 ) Has your efficiency decreased since drinking? * 14 ) Is drinking jeopardizing your job or business? * 15 ) Do you drink to escape from worries or trouble? * 16 ) Do you drink alone? * 17 ) Have you ever had a complete loss of memory as a result of drinking? * 18 ) Has your physician ever treated you for drinking? * 19 ) Do you drink to build up your self confidence? * 20 ) Have you ever been to a hospital or institution on account of drinking?